No code needed. 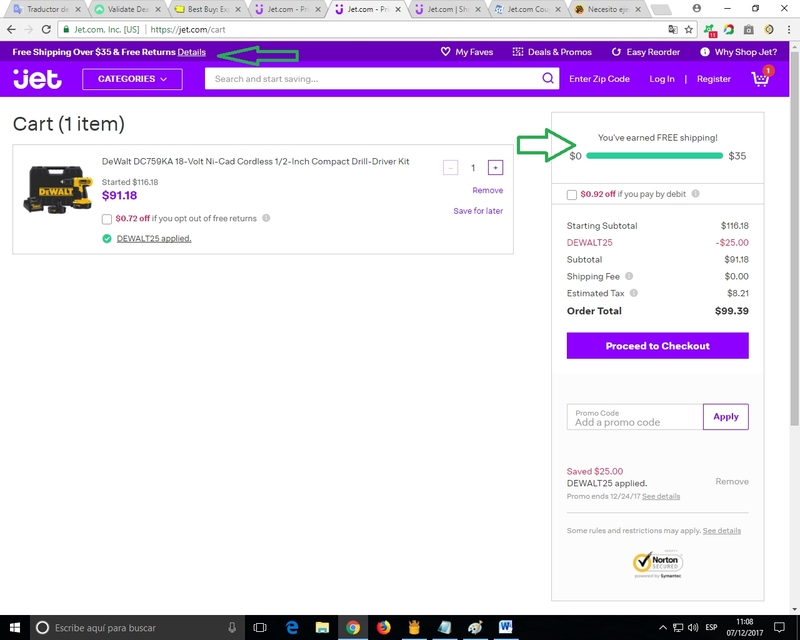 Click the button to redeem your discount at jet.com. Ongoing deal, never expires. Last validated 1y ago . Used 222 times. ROBERTO JIMENEZ Let’s start with free standard shipping. 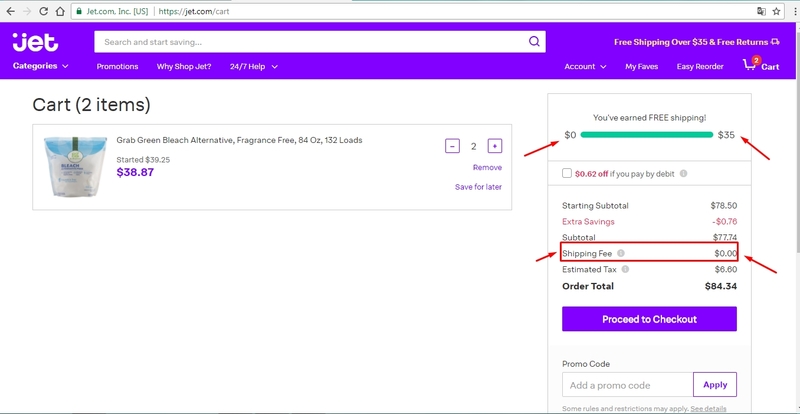 To qualify, your order merchandise total just has to be over $35 before your extra savings are applied. Learn more about our shipping policy here. As for returns: They’re free within 30 days of delivery on almost everything we sell. Learn more here. Tomas Enrique Velasquez Diaz This deal was verified and it is working as described..
Ana Smitt I am validating that this deal works as described. 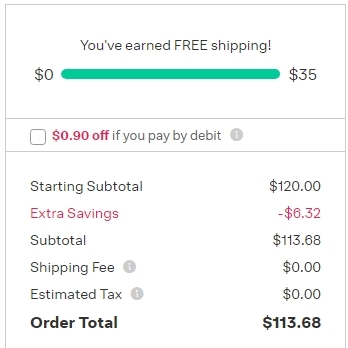 Get Free Shipping on Orders Over $35 at Jet.com. No necessary a promotional code.